Cooling and usability were the focal points in the Z390 Steel Legend design process. The Z390’s shaped PCB design is not only attractive but also provides easier access to SATA ports. The board’s large and impressive XXL Aluminum Alloy Heatsinks enhance stability and overclocking potential. Dual full coverage M.2 SSD heatsinks dissipate heat efficiently to ensure your high speed drives always work at their best. Premium 60A Power Chokes and Nichicon 12K Black Caps mean that the Z390 Steel Legend not only remain rock solid no matter the task, but also keep your system stable when overclocking – for extra performance whether you're gaming or rendering professional content. Gorgeous RGB lighting is an increasingly popular way of personalizing your PC. 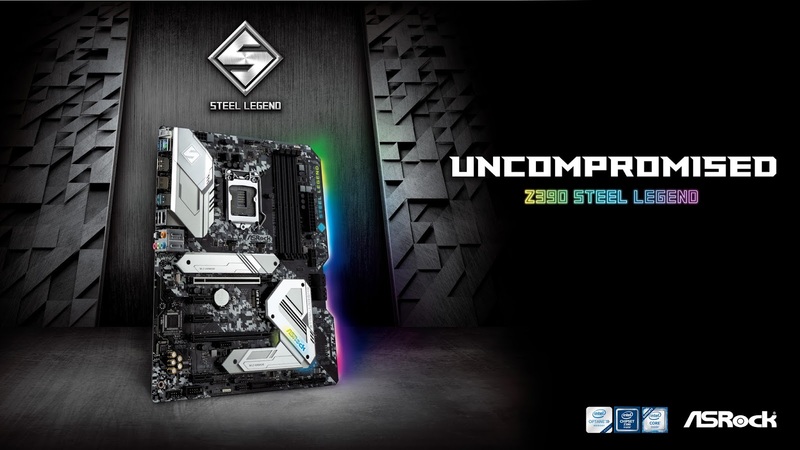 With the Z390 Steel Legend, you can customize your PC with Polychrome SYNC full-color RGB LED lighting, which provides both 3-pin addressable RGB headers and traditional 4-pin RGB LED headers that allow users to connect RGB strips directly to the motherboard and sync their lighting system using the app provided. Don’t worry if an RGB LED strip is not your thing, the Z390 Steel Legend already has built in fluorescent RGB lighting and detailed PCB print design on a Matte Black PCB for mainstream users, gamers, and professionals that choose to work and play in style. 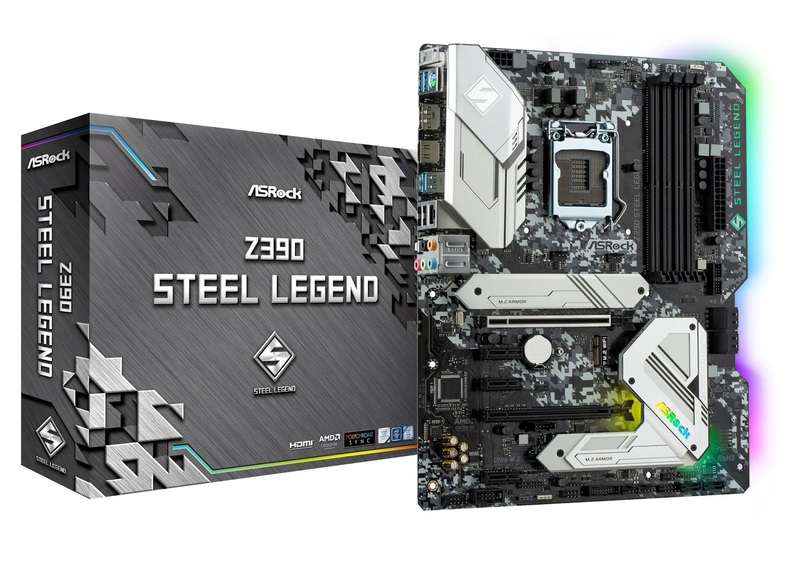 ASRock has gone to great lengths to ensure optimum stability and performance while maintaining the spiritual philosophy of the Steel Legend series. The Z390 Steel Legend is ready for anything – no matter whether you’re a performance enthusiast, a gamer or a professional video editor.